What makes Project XOXO unique? Project XOXO seeks to unite you with the St. Louis legal community in an effort to raise contributions for local homeless charities. Since 2010, Project XOXO has raised more than $448,650 in cash and in-kind donations for local St. Louis charities. Because The Simon Law Firm, P.C. underwrites all fundraising expenses, 100 percent of the annual run/walk registration fees, pledges and donations go to the selected charities. All of the selected recipients are local organizations with a record of making a difference in the lives of St. Louisans. Gateway 180 is a valuable resource for women and families experiencing h omelessness. We provide safe, nurturing emergency shelter services and offer supportive housing programs that empower individuals to become independent and permanently housed. Learn more about Peter & Paul Community Services in this video. 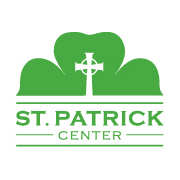 St. Patrick Center provides opportunities for self-sufficiency and dignity to those who are homeless or at risk of homelessness in the St. Louis area. Individuals and families build permanent, positive change in their lives through safe and affordable housing, sound mental and physical health, and employment and financial stability. Each year, approximately 6,000 clients and dependents are assisted through these services, which respond to not just their basic needs, but also the often complicated underlying issues that result in housing insecurity. By addressing root causes of homelessness, St. Patrick Center provides long-term, effective solutions that strengthen individuals, families, and the community as a whole. Places for People provides an unparalleled toolkit of programs, services, and resources for people who have serious mental illnesses, typically accompanied by complex and multilayered challenges: chronic homelessness, substance abuse disorder, primary health disorders, and trauma. Our mission reflects our commitment to serve the most vulnerable people in our community. Sunnyhill Inc. is a nonprofit organization that provides tailored residential support, recreational and educational opportunities for children and adults with developmental, physical and other disabilities throughout the metro area. Sunnyhill services include customized daily care, which provides support to individuals so that they can live independently in the community. Depending on the support needed by the individual, our services can be as comprehensive as 24 hour care or as minimal as once a week visit to help the individual pay bills or go to the grocery store. 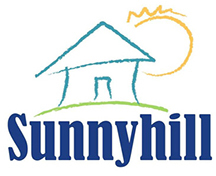 All proceeds of funding received by Sunnyhill directly supports the consumers of Sunnyhill.